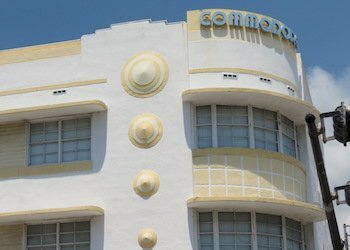 The Miami Design District, from its humble beginnings not long ago, has really come a long way. Still in the making, it keeps on defining and redefining itself. 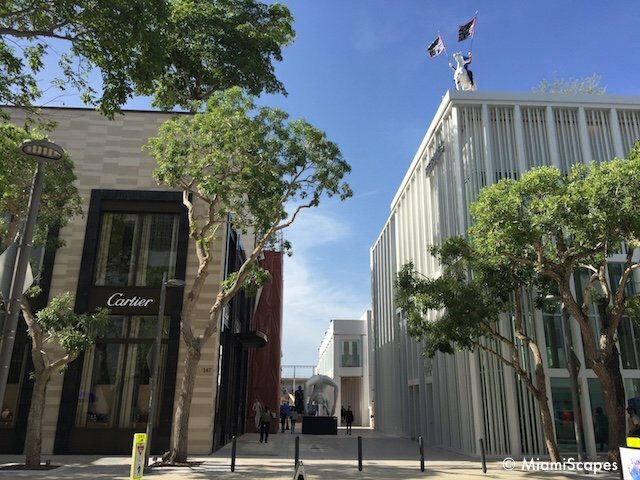 No longer an area dedicated exclusively to furnishings and interior design, the District is attracting the world's top names in fashion, and art galleries and public art displays are flourishing. 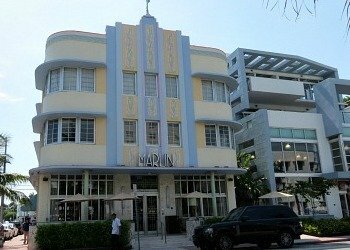 Some of Miami's most popular locavore restaurants round up this very unique corner of the city which keeps evolving and bringing us new twists. Once upon a time... this was a decaying area of town, a mish mash of old warehouses and storefronts, mostly furniture and interior design outfits, a rogue gallery or architectural firm here and there... for the most part, it wasn't in anyone's radar. 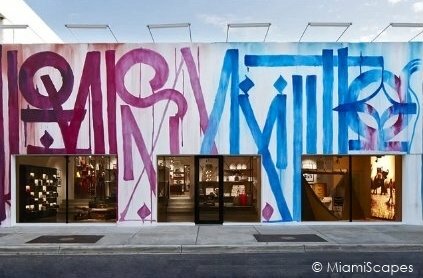 It was commisisoned to RETNA, the renowned street art painter. You can see more of his work at the Wynwood Art District. This also gave way for the art scene to flourish with many exhibition venues, galleries and street art popping up throughout the neighborhood. 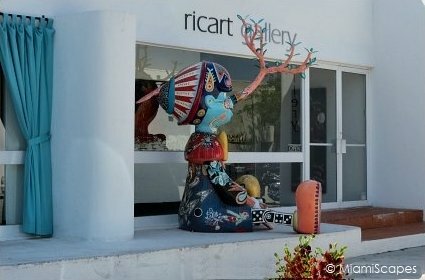 The entire art scene in Miami is in constant flux with new museums, exhibition and performance venues as well as fresh thriving areas, galleries and artist studios at the Design District come and go, the Ricart Gallery pictured here for example has relocated to Wynwood, but there is a constant flow of art and works being comissioned at the Design District. 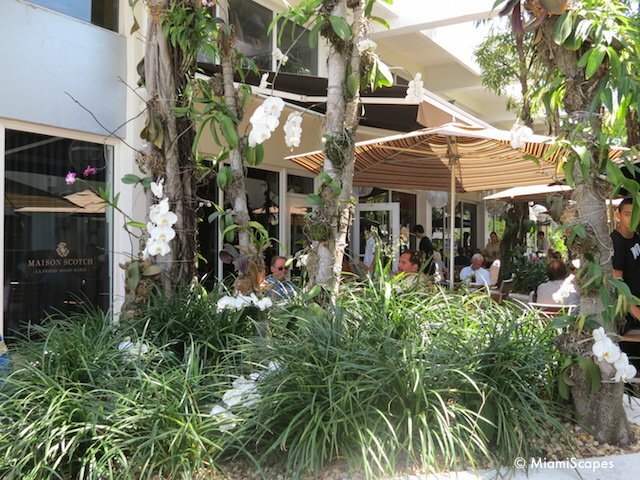 The number and variety of restaurants is also growing, very chic establishments offering locavore fare in a relaxed and laid-back ambiance in contrast to bustling South Beach. 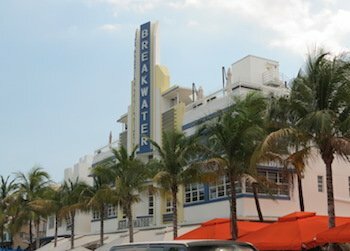 The Design District is a neighborhood, not a shopping center, a very unique neighborhood. The atmosphere at the Design District is quite varied. During the week it could be very quiet, almost deserted. You will probably wonder what the big fuss is about and "where the action is". The action is of course for those who understand art and design and for those who, unlike the rest of us, did remember to bring their Black Amex cards and will be picking up a few fabulous baubles here and there. 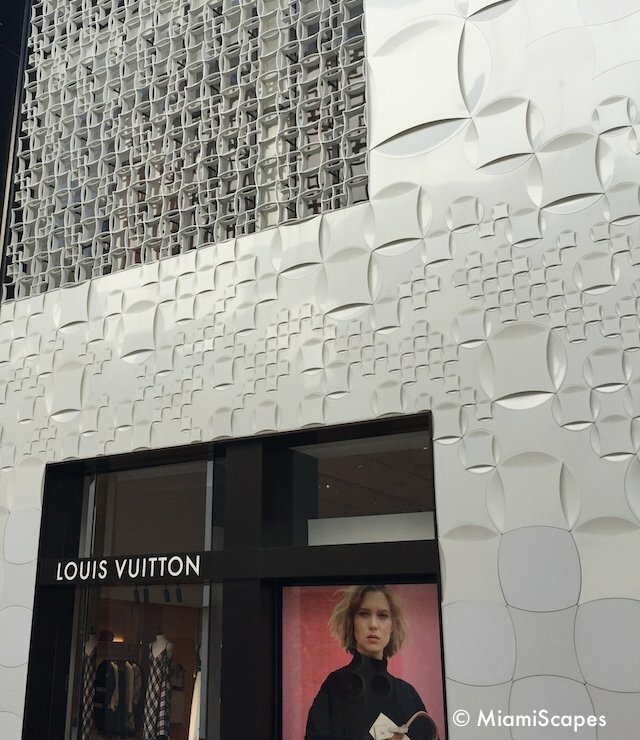 You find everything here, high-class fashion boutiques, luxury watches, and shopping or not, the stores are beautiful architectural and design masterpieces. 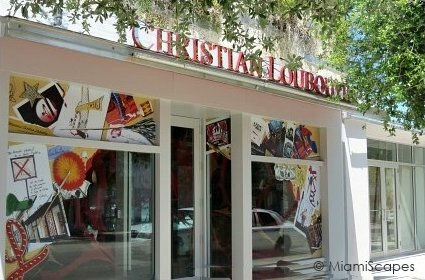 Here's a complete and current listing of all luxury brands and stores that are open in the Miami Design District and a map to locate them. 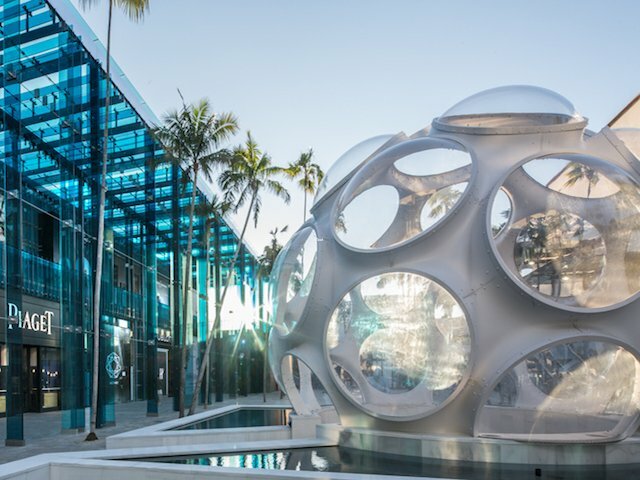 Fly's Eye Dome is at the center of Palm Court, the Design District's main "hub", a fantastic open space dotted with palm trees and art installations. This is the main event space featuring open air concerts and performances. The iconic geodesic dome was designed by renowned architect and inventor, Buckminster Fuller. 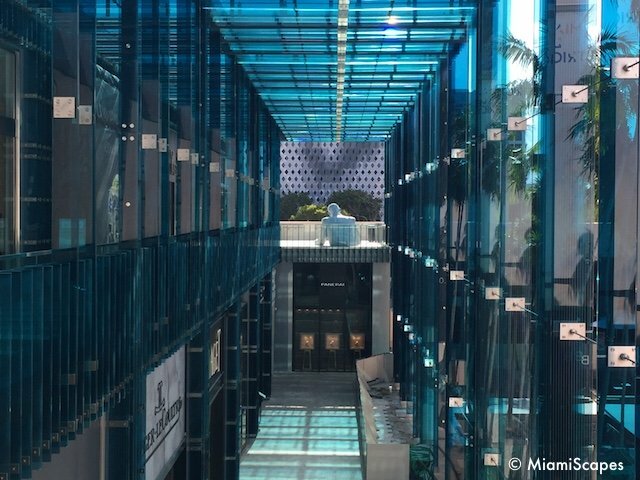 Off the Palm Court, the Sou Fujimoto Building is the airy bright blue two-story structure featuring an elongated series of glass fins extending from the rooftop down to the open courtyard. 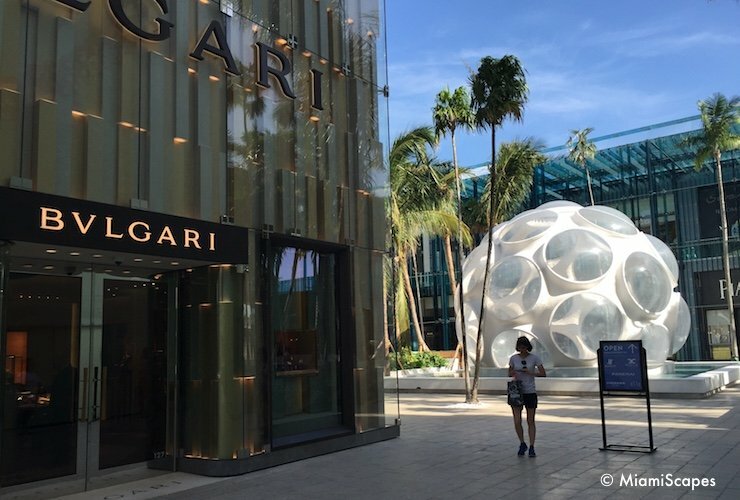 As in Palm Court, look for art installations interspersed throughout. Jungle Plaza is another open air space that serves large scale events at the 20,000+ square-foot plaza. The centerpiece Jungle Mural was created by collaborative art studio 2x4. 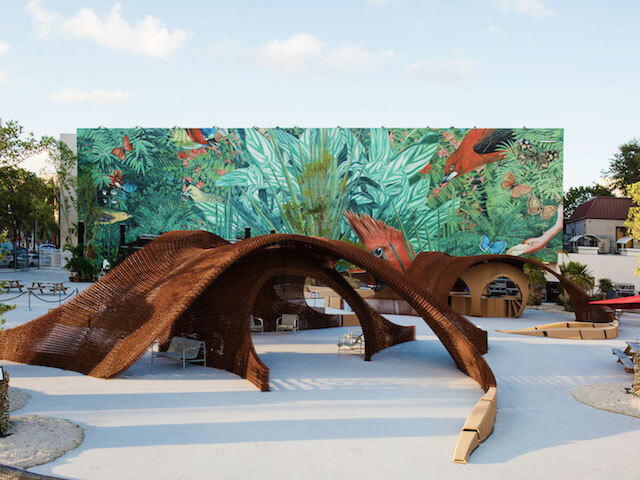 Jungle Plaza is also home to the Flotsam & Jetsam installation by SHoP Architects, one of the world's largest 3D printed objects. Yes! It's a garage! The seven story parking garage façle;ade (or rather facades) is the show-stealer. 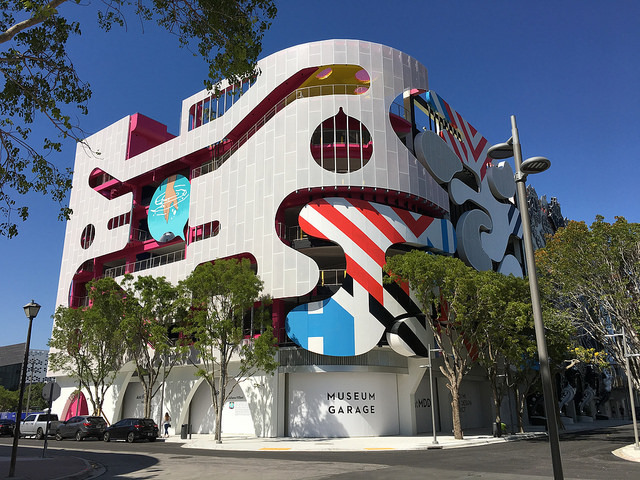 Museum Garage is striking and with its contrasting and bright and colorful sections, each designed by a diferent studio: Terence Riley of Keenen/Riley, WORKac, J Mayer H, Clavel Arquitectos and Nicolas Buffe. Entrance to Museum Garage is on 41st street between NE 2nd Avenue and NE 1st Avenue. 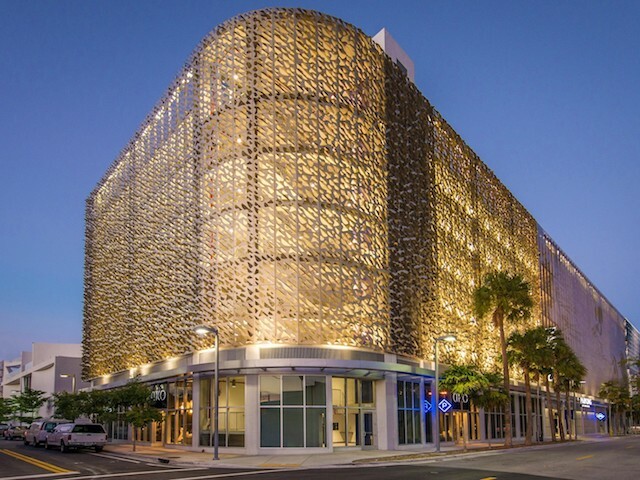 Another beautiful parking garage, you can see it as you drive off the I-195 freeway, this one by Iwamoto Scott alongside New York-based Architects Leong Leong who created the western facade shown here. 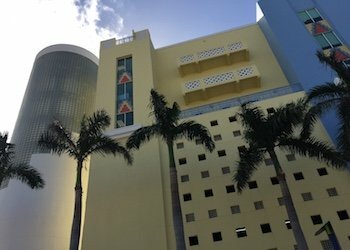 Entrance to City View Garage is on 38th street between NE 1st Avenue and NE Miami Court. The Moore Building, one of the original historic structures of the District, built in 1921, it was a furniture showroom space for Moore and Sons. 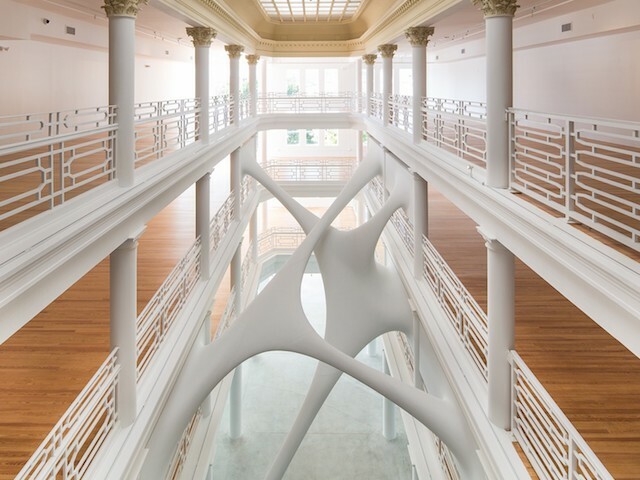 The main highlight here is the Atrium and the Zaha Hadid commissioned art installation Elastika. The Moore Building is used as an event venue, the central atrium accommodates 2,250 people for receptions and 1,100 for seated events. 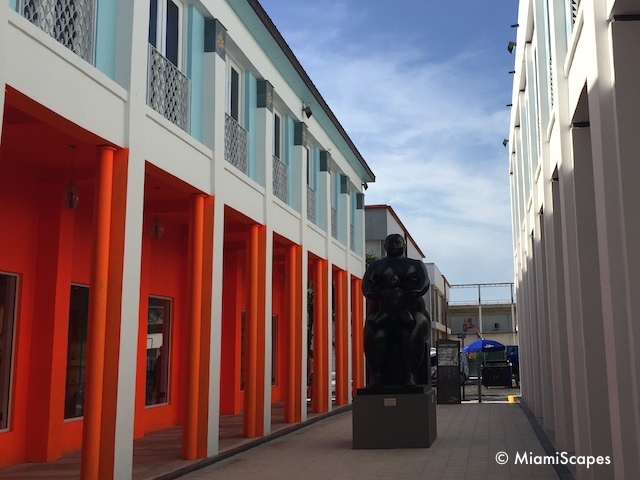 Some of the best times to visit the Design District is during their special events and concerts, in particular the Miami Design District Performance Series. 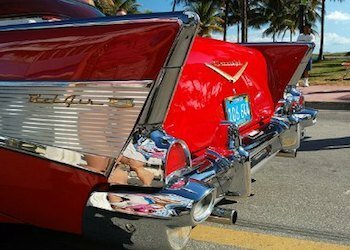 Normally on selected Friday evenings at Palm Court, this is a FREE ensemble of live musical performances produced by 19-time Grammy Award winner Emilio Estefan in collaboration with the Miami Symphony Orchestra presented by the Knight Foundation. Check out the events schedule here for upcoming performances. 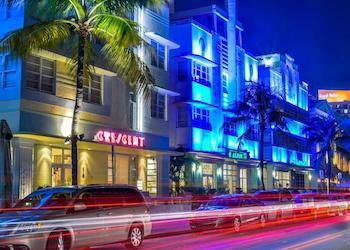 By far, the best time of the year to visit is during Art Basel Week, the first week in December. 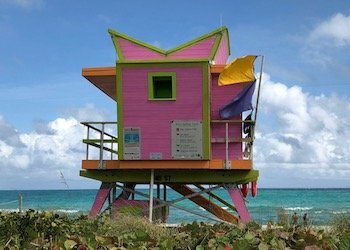 The entire area comes to life with many exhibitions, gala events, parties... as the contemporary art world converges in Miami. 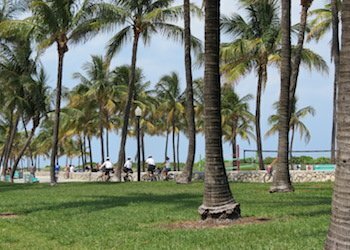 Getting there: The Design District is a very compact area, roughly between 38th St and 42nd St and N. Miami Avenue and NE 2nd Avenue. 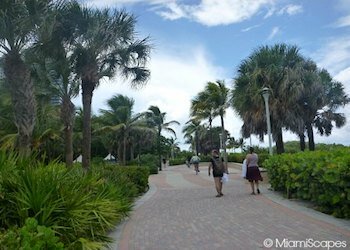 CAUTION: Remember this area is still very much in transition, the surrounding area of the Design District is a doubtful neighborhood, please exercise caution specially at night. Click here for map and directions. 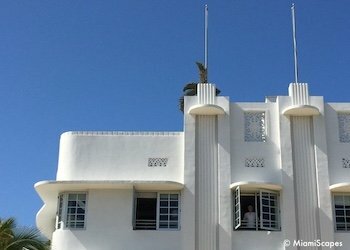 Parking: there is metered parking on the street (challenging) and 4 convenient parking garages, including the ones with the wonderful frontage. Self-parking $3 for first 4 hours. 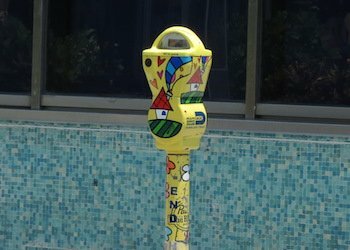 You can also try one of the many valet parking spots available throughout the District, normally near most restaurants and the luxury shops. Valet stations are marked with the pink V on this map. You can drop your car at one location and pick it up from another, so feel free to stroll. It takes extraordinary vision to pull something like this off. 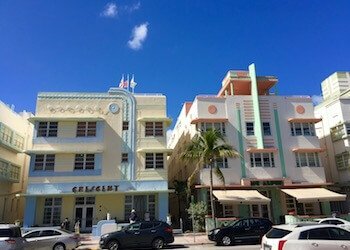 Thanks to Craig Robbins, the heart and soul (and checkbook) behind the Miami Design District, which has it all in spades and who also has given us the world renowned South Beach Art Deco District. What will be next?